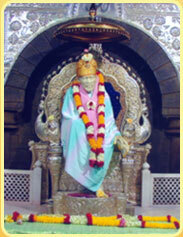 We hereby invoke the blessings of elders of the spiritual passage, Sai families of the cosmos and kind hearted beings. We make prostration before our Guru Shri Subba Rao Swamiji who was our light house, has initiated to Baba consciousness. Then we surrender ourselves entirely to the lotus feet of our Sath Guru Sainath, who is our sole refuge. We swear that there are no hidden expectations in exhibiting this anecdote. We just reminiscent our traveled way. © 2009 Sai Sanmarga Dharmalayam, All Rights Reserved.